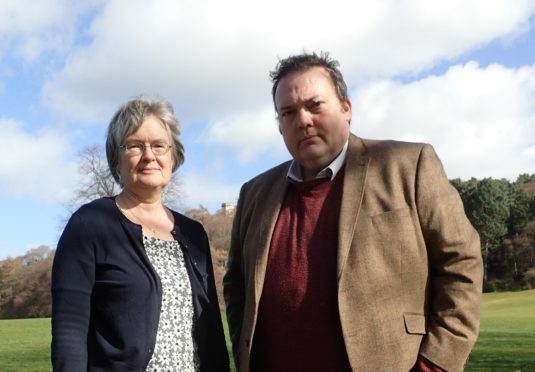 Highlands and Islands MSP Jamie Halcro Johnston has pledged to put pressure on the Scottish Government not to overturn a decision by Moray councillors to recommend refusal of a controversial wind farm application. The Clash Gour application to build 48 wind turbines at a location 12km south of Forres was debated by members of Moray Council’s Planning and Regulatory Committee yesterday. After a contentious debate, they decided to object to these plans, citing the potential “unacceptable” damage they would cause to the local landscapes. Mr Johnston vowed to make sure the Scottish Government does not go ahead and accept the proposals. He said: “There is widespread public concern in Moray about this application. It is right that local elected members have taken that concern, and the judgement of the council’s planning officers who recommended rejection, into account when making their decision. “Unfortunately, it is still very possible the SNP Scottish Government will ignore local democracy and seek to overturn this decision as they have in the past with other windfarm proposals in Moray and across the Highlands and Islands. However, a Scottish Government spokesman said: “Ministers take into account the views of communities and all representations made by members of the public, when considering wind farm proposals. “The merits of each proposal are considered on a case-by-case basis, and a careful balance must be struck between the potential impacts of the development and the associated economic, renewable energy and climate change benefits.